It’s finally here, but what makes it truly ‘Next-Gen’? Let me start off this review by saying the Xbox One was my most anticipated release of 2013. The last video game console generation started in 2005, and with it being 8 years apart it’s definitely something to get excited about. Most other products are on a yearly cycle so it doesn’t give you much time to get thrilled and wanting for more. It’s tough when a console generation nears the end since developers hold back on taking risks with new IP’s. I’ve personally held back on buying a lot of games in the last 2 years or so unless I knew they were blockbuster titles. Now that a new generation is out it brings along the excitement of new discoveries. I’ve found myself buying titles that I never would have before, simply to build up a new game collection. A great console starts off with a great design. The console itself has an incredibly sleek look to it. While rather large compared to other consoles or devices, there’s a lot of technology built-in. The Blu-ray drive is slot loading, a nice change from the drive tray style on the 360, and the power button is touch sensitive that glows white while the console is powered on. Around the left side you’ll find a USB port for ease of access if you have a play and charge kit for a controller. The ventilation system was very well thought out to prevent any sort of new age ‘red ring’ effect from over heating that plagued them for a few years into the 360′s lifespan. The console is designed to be placed horizontally and cannot be moved while a disc is inside. The cooling system is barely noticeable as well, especially when a game is playing. 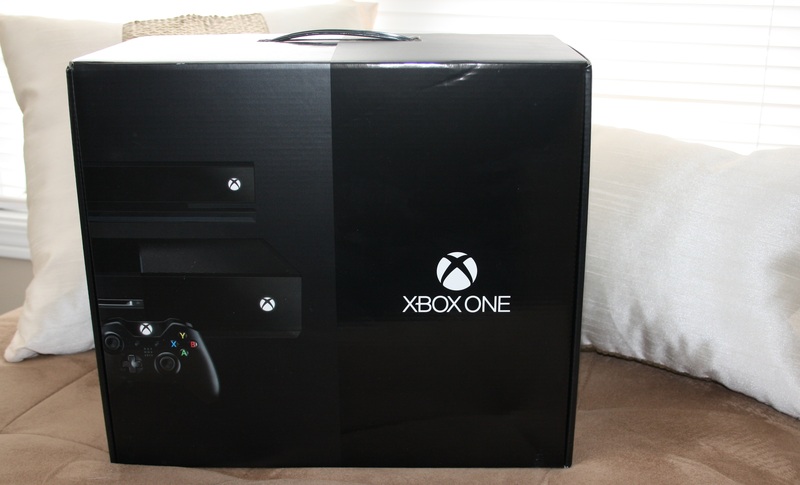 Inside the box you’ll find: the console with a 500GB built-in hard drive (external drive support coming early 2014), a wireless controller, the new Kinect sensor, a wired mono headset, the power brick, and a 4K HDMI cable. I also went out and picked up the Play and Charge kit, which provides a rechargeable battery pack and a 9ft micro usb charging cable. Batteries in the controller will last about 30 hours, and the rechargeable battery found inside the Play and Charge kit seems to last about 15-18 hours. Around the back you’ll find the standard connection options, along with a very unique feature. From left to right we have: power, HDMI out, optical audio, HDMI in, two USB 3 ports, Kinect port, an IR blaster, gigabit ethernet, and a Kensington lock. Another feature not really talked about is dual band Wi-fi N, as Xbox One is the only console to have this feature. I myself prefer a wired connection for stability and performance, but if you’re limited to wireless it’s a great alternative to have. The HDMI in is what sets it apart. This feature allows you to connect any HDMI capable display device (from older consoles, to computers and of course – a cable or satellite box). 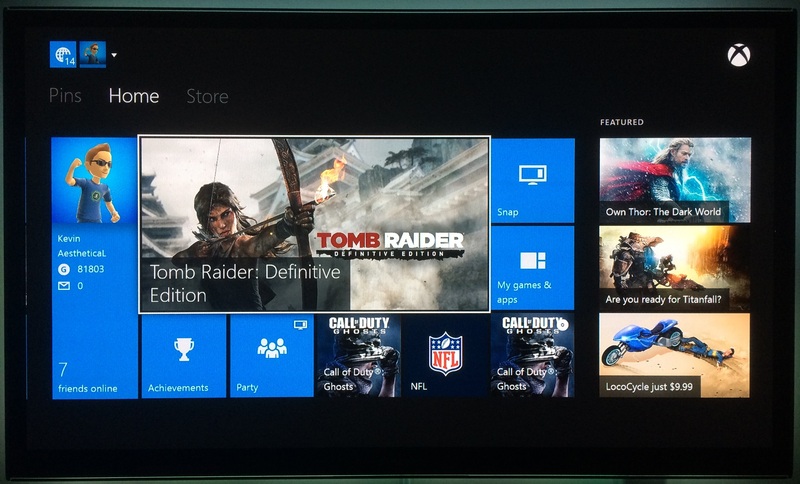 Microsoft has designed the Xbox One to work as a live TV hub where the guide gets integrated into the Xbox user interface, allowing motion and voice control. Since the Xbox One has 3 concurrently running operating systems, you’re able to switch between tasks with no performance issues. You can go from playing a game to watching live TV at the drop of a hat, or voice command. Controller navigation is so 2012. Speaking of voice commands, since every Xbox One is bundled with an all new Kinect sensor they designed most of the user interface to interact with it. This new sensor is able to recognize up to 6 people simultaneously on-screen and monitor things like facial and voice recognition, body movement and even precise details like whether you’re blinking or looking away and heart rate. During an Xbox One conference I was able to test out a developer kit of the new Kinect sensor running with all 6 people on-screen and it was incredible to see the level of detail in the scans. Each person had their details arranged by colour while it updated in real-time with each movement or action. The voice commands are where things come together. The Xbox One powers down into a standby mode, and can be woken up by a simple ‘Xbox on.’ The Kinect also has a built-in IR blaster which functions as a universal remote. You can set up your TV in addition to an AV receiver to power on and off with the Xbox. I had this setup for a bit but got annoyed when I would turn the Xbox off to watch something on a different input, or would turn the Xbox on after having it on a different input and it would shut off the devices since they were already on. For people who just use the Xbox One it’s a great feature. Everything else on the console is able to be controlled with voice by saying “Xbox.” Once it detects the command (and it’s not perfect by any means, but I’m sure it’ll improve over time), all the live tiles have words appear to display their command. I’ve been able to turn on the system, go to my friends list, start a party with 3 friends, then launch a game simply by using voice. The motion gestures are leaps ahead of the previous generation, but there isn’t much application for it yet other than system menu navigation. The first major entry will be Kinect Sports Rivals which is set to release at the end of April of 2014. Microsoft has also released an updated Smart Glass app for Windows, iOS and Android. This app allows you to control system functions such as navigation and typing, as well as access achievements and friends. There’s also a huge initiative in the works for second screen gaming. Launch games such as Dead Rising 3 and Ryse already have this functionality built-in – being able to see maps, game progress, and hidden items – but it’s going to get much more integrated later on this year. You’ll be able to jump into co-operative games with friends playing on their console and control certain aspects of the game from anywhere. Redesigned and improved, but still familiar. 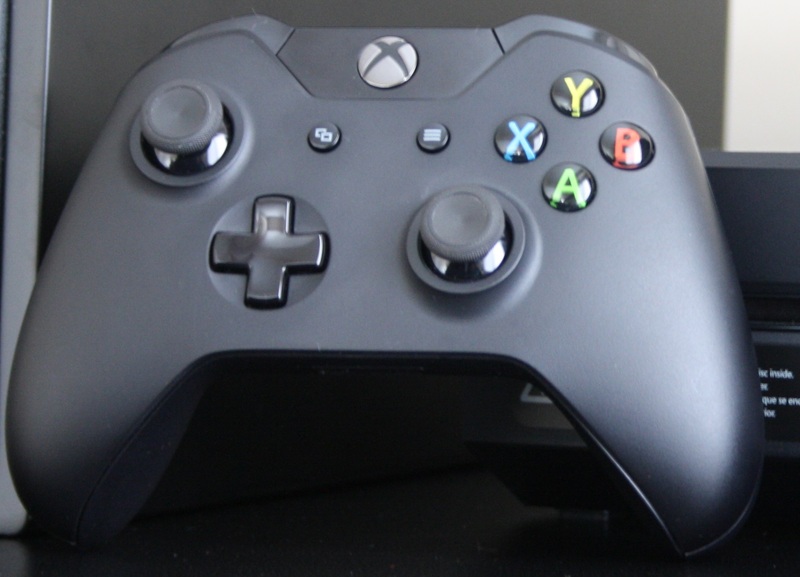 Microsoft has made it perfectly clear that the controller was completely rethought over the development process. With over 40 improvements, it really does feel brand new. The palm grips have been elongated so when you naturally position your hands on them, your thumbs and index fingers naturally slide into position where the joysticks sit. On the 360 controller it seemed like you had to reposition your thumbs after naturally gripping it. The face buttons are extremely responsive, and have a greater tactile feel to them. The D-Pad was completely redesigned, and is now a plus sign opposed to the disc from last generation. This provides a very clicky feel that is very precise. A new top lining gives the controller a bolder look, where the home button has been moved to. One of the most important new features are the triggers, which Microsoft labels “Impulse Triggers.” They have little vibration motors inside that provide a whole new level of depth to games. In Forza 5 they give feedback on braking and acceleration, whereas in Dead Rising 3 they pulse when you get low on ammunition. The triggers are also a little wider so you use more of your index finger to press it down, which helps against strain from the long Call of Duty marathons. The thumb sticks now have an indented ring on the top that allows a more precise grip from any angle, compared to the little slits that would normally wear out from the 360. 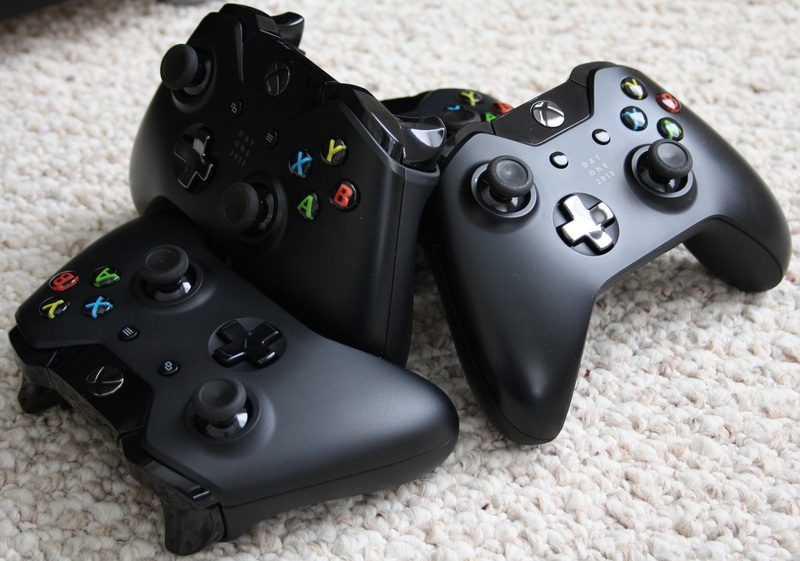 The last major new feature is an IR sensor on each controller that pairs with the Kinect. This allows the Kinect to track each controller so that if you are playing a game with a friend, when you pass the controller from person to person the Kinect will notice and change profile settings in real-time. I did tests on this on the home screen and it changed who’s profile was signed in as the controller got passed back and forth. It also allows another layer of depth in games for motion actions. Without any games, even a great console is destined to fail. Microsoft took some huge initiative this generation by making sure there was a solid assortment of titles available at launch. I myself ended up getting 6 of the total 21 games (10 being console exclusives). This gave me a lot to play over the launch window, and still continue to enjoy almost 3 months later. There are a couple of games I’m looking forward to as well in the next month to keep me busy until E3 in June. To think even a year ago we had no clue what was coming – this time last year we didn’t even know what the Xbox One, or Titanfall was. It’ll be amazing to see the great line up that’s in the pipeline for the rest of 2014 and beyond. Microsoft is really pushing for a cloud driven generation this time around. All the games are installed locally on the hard drive, but game saves and profile settings are stored in the cloud. There is no space limit for this content, as Microsoft is using it’s 300,000 Azure serves to power Xbox Live. This feature works great when you want to go to a friends house, you simply sign on and all your saves and settings come with you. I’m extremely impressed with the Xbox One so far. This is the first step to the next 8 years of console gaming, and judging from how far the Xbox 360 progressed along its lifespan it’ll be incredible to see where Microsoft takes their next-gen centre piece.